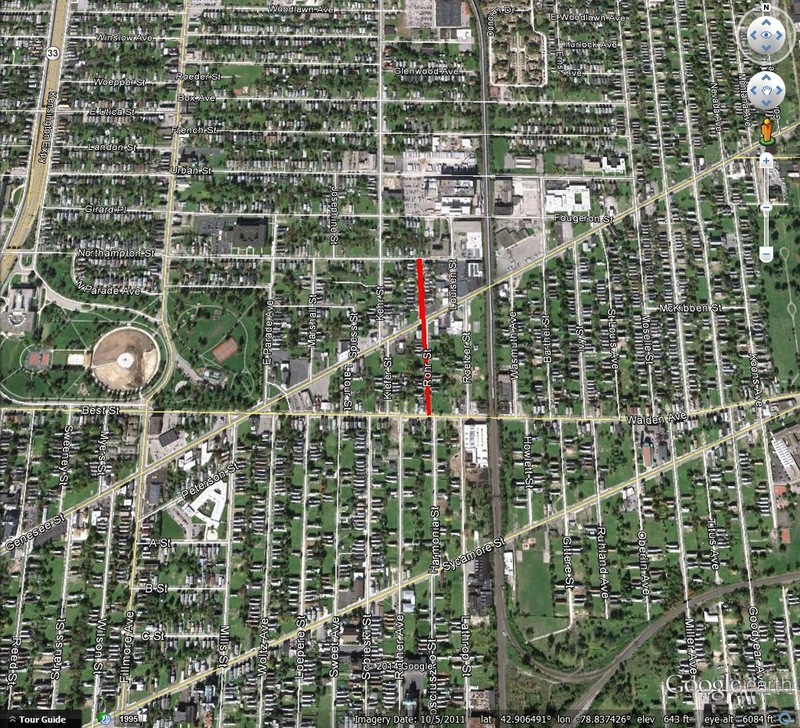 Rohr Street is a street in the Martin Luther King, Jr., Park neighborhood on the East Side of Buffalo. The street runs between Walden Avenue and Northampton Street, a few blocks from the park. Rohr Street is named for Mathias Rohr, president of the Volksfreund German Newspaper. Mr. Rohr was editor of the Volksfreund for 14 years. Although he wrote his editorials for the paper in his native German, Rohr was 100% proud to be an American. Mr. Rohr was born in Germany in 1840. At the age of 16, he became a teacher in his village of Zemmer. During his school days, Mr. Rohr had heard of a man from his village who had gone to America as a poor teacher and returned to Germany as a rich man. Mr. Rohr longed for the freedom in America, so he dedicated himself to learn the English language. At the time, studies outside of the traditional curriculum were forbidden at his school. He also studied French and German literature, which was helpful in his later job as a journalist. At the age of 28, he came to America. A representative of the Central Zeitung, a German newspaper in Buffalo, met him at the dock and offered him a position as editor. Two years later, he joined the editorial staff of the Buffalo Volksfreund. Starting in 1883, he also served as a representative for the New York Life Insurance Company of Germania. In 1904 he became president of the Buffalo Volksfreund. Under his leadership, the Buffalo Volksfreund became one of the most important German-American newspapers in the country. In 1913, he sold his interest in the paper. Ad for the Buffalo Volksfreund from 1891. The daily newspaper cost 25 cents every 2 weeks, or $6 per year if prepaid. For this price, the paper would be mailed to readers in the local area in both the United States and Canada. The weekly version could be sent to Europe or other regions for $2.60 per year. The Volksfreund offices were at 14-16 Broadway. 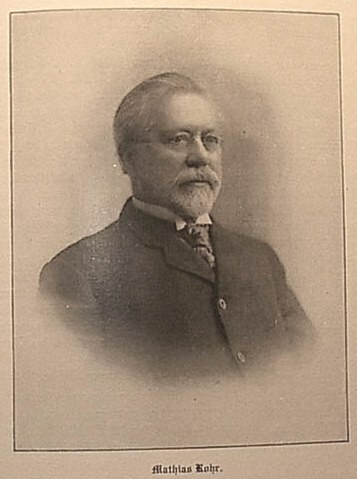 He was a member of the first board of the Buffalo Public library and was an original subscriber to the former Buffalo Orchestra and a contributor to the original music hall. He was considered a gifted writer and in addition to his journalistic writing, he wrote numerous poems, essays and novellas that were published in newspapers and periodicals. He published a book of poems in German written about Niagara Falls “On Niagara” in 1900 (which can be read here in German). He also published a book titled Oreola, the Pearl of the Iroquois and Other Stories of Indian Life. He served as President of the Broadway Brewing & Malting Company. 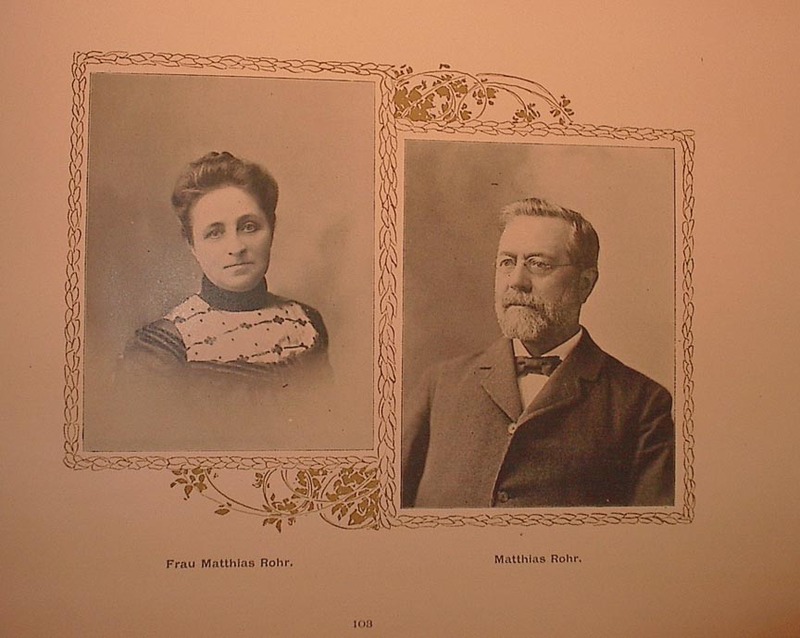 Mr. Rohr married Miss Sophie C. Reichert in 1869. The couple had 11 children. Mr. Rohr owned property on Rohr Street, but he never lived there. His home was at 186 Edward Street, near Virginia. The house on Edward Street is still standing. Mr. Rohr was also an active member of the Catholic Church. In 1874, he was selected as a delegate of the Catholic Union of Buffalo to Rome and Lourdes. He was also a member of Orpheus, the German Literary Society, and the Knights of Columbus. 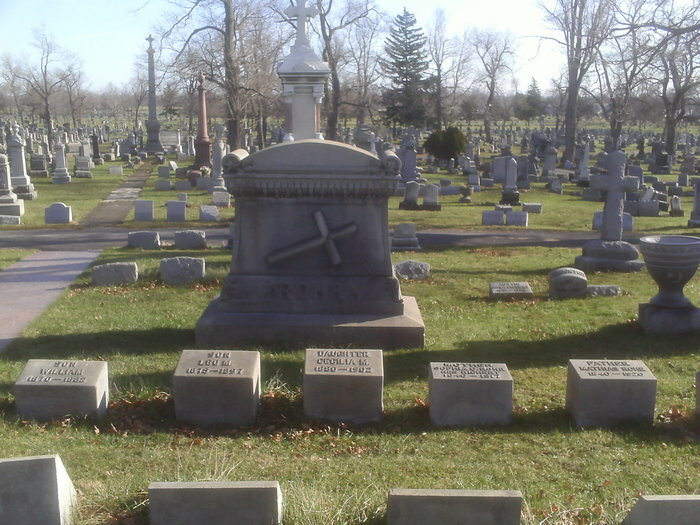 Mr. Rohr passed away in 1920 and is buried in the United German and French Cemetery in Cheektowaga. Mr. Rohr’s son Frank was the founder and president of the Broadway Businessmen’s Association. This group was the organization that abolished the fenced park that was once Lafayette Square. Under their leadership, Broadway cut through the Square to Main Street. Since the Holland Land Company had deeded the Lafayette Square property to the City on condition that it be maintained as a park, surrounded by a fence, when traffic congestion had dictated that the road cut through the park, public condemnation notices had to be published in the newspapers of the Netherlands to be read by any surviving persons interested in the Holland Land Company. Mr. Frank Rohr also worked with the association to bring the Broadway Auditorium to open. White, Truman C, ed. Our County and its People: A Descriptive Work on Erie County, New York. The Boston History Company: 1898. The History of the Germans in Buffalo and Erie County. Published by Reinecke & Zesch. Buffalo, NY: 1898. Mueller, Jacob. Buffalo and Its German Community. German American Historical Society: 1911-12. As always I learn something cool about your city! of the street names of Buffalo. You capture the uniqueness of a great place. Always anxiously awaiting your next installment.